Hits4pay is the most trusted genuine site that provides email reading job to the members all around the world without investment i.e, no registration fees. Also hits4pay is one of the oldest advertiser website started on 2001. So, they are very disciplined when it comes to payment, they will pay you on time. 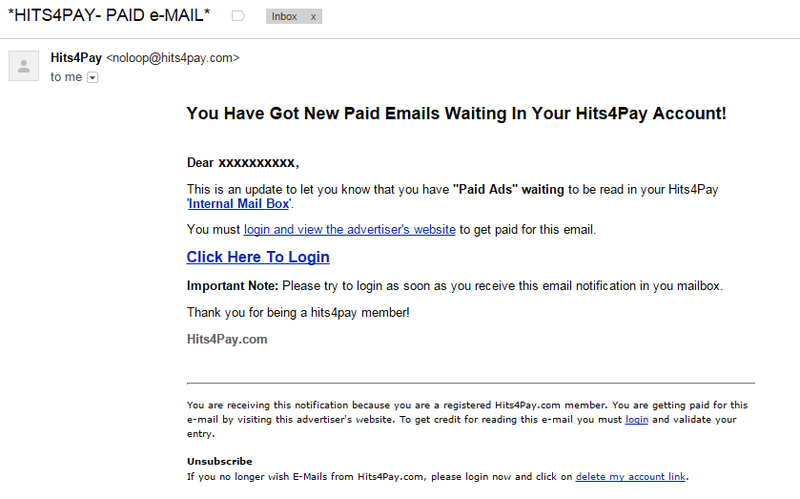 Hits4pay will send you paid email to the regular e-mail inbox and also to internal inbox available in your account itself. You have to click the email link in order to get paid and you will be paid for completing the offers. Hit4pay has the highest pay rate of $0.2 per e-mail you read, no other genuine site pay such an high reward for reading mail. It’s not that much easy to join hits4pay like other websites in seconds. Hit4pay will have to verify you completely before they approve your account it may take up to 2 days. You have to fill the form as shown above, with 25 questions. Don’t fill unwanted things because you may not be approved. Choose your username and password of your desire. Remember these information, because you will have to log into your account using them. Fill the name, e-mail address, country, postal code, address, DOB, gender, home owner, marital status, working status & position. Choose your origin i.e, where are you from. Like Asian, African, American etc. Don’t choose American if you live in India. These are some important things will be noted by Hits4pay. Then choose the best of your category in household income, employment status, household etc. In next part you will have to select the category of interest i.e, in which field you would like to receive paid e-mails from (Example: computer, fitness, cars, books, cooking, sports, business, jewelry, pet, toddlers, online dating, gay & lesbian, electronics, vacation etc). Similarly there will be 67 options from which you can select any 3 min – 15 max categories. Now tick/check the box ‘Receive updates’ only then you will receive paid e-mails to your e-mail inbox. Read their terms and conditions and click ‘Join Hits4pay now’. You will receive a e-mail that, you have been signed in and you have to wait for 24 hours for approval. After 24 hours if your account is approved you will receive a confirmation mail with log in details and other details. Now you can start your work directly. Also you will get $5 as signup bonus. Click here HITS4PAY to register. After approval hits4pay starts to send e-mail to your inbox as shown below. You can also directly log in to your account and check the internal inbox for paid e-mails. Click the link to go to login page. Log in to your account to start working. You can see the internal inbox shown above. If you have any paid e-mails waiting for checking, you can see in the new message waiting : 4, with the number of e-mails available. To get paid you will have to click the the link given below each e-mail as shown below. After clicking a new page opens with the advertisement as shown below. View the advertisement for 60 seconds. 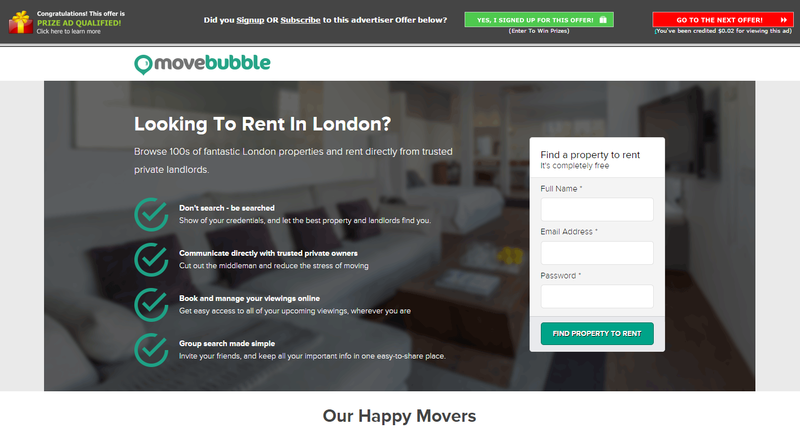 A red button with (“Go to the next offer”) message will appear at the right top corner of the page. Click the red button to continue with next e-mail. If still more e-mails are waiting you can continue with them. Your account will be automatically credited with $0.02. Another best facility available in hits4pay is they will pay you commission for completing the offers. Like if you signup in the website shown above you will be paid after confirmation. You have to click the Green button (“Yes I’ve signed up for this offer”) in order to get credited with commission. You can see in above image that if you close the page within 60 seconds i.e, without clicking red button. Your click will be considered as invalid. Related link – Top 10 best email reading jobs. This is the best way if you are planing to earn more money. Without referrals you can earn only $0.2 to $0.20 per day. So, you can earn by referring friends and others to Hits4pay. In back Hits4pay will pay you commission from your referral’s earnings i.e, you will get $0.01 commission for each e-mail your referral checks. So now you’ve come to an idea how much you can earn through referrals. After that you are the king, you can earn without working. But don’t do like that hits4pay will track you account, if you don’t work your account will be deactivated. At least check 1 email per week or two. Tips: How to get more referrals. 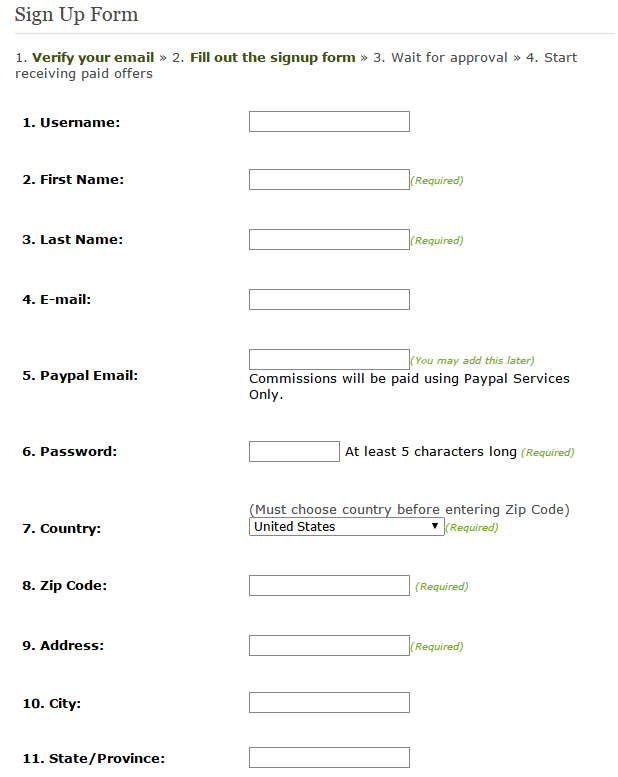 Being the most trusted E-mail job website, Hits4pay pays your earnings through most trusted payment processor Paypal. The minimum payout amount is $25. 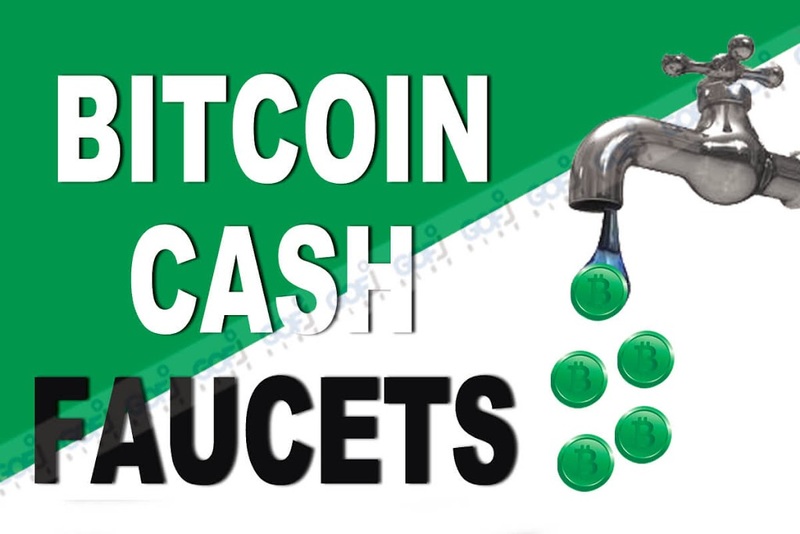 So, you should have minimum balance of twenty five dollars or more to request for cash out. At current there is no other option to withdraw your money/ earnings. Your account will be deactivated if you don’t visit hits4pay at least one time in 6 months. Your earnings also will be reset. Also hits4pay will delete your account if you force some one to join under you as your referral. This will happen if any one complaints about you to hits4pay. So, don’t force unknown people more than one time. 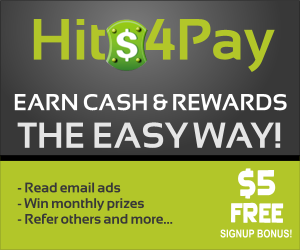 Hits4pay will pay you if you complete the offer and click the green button. 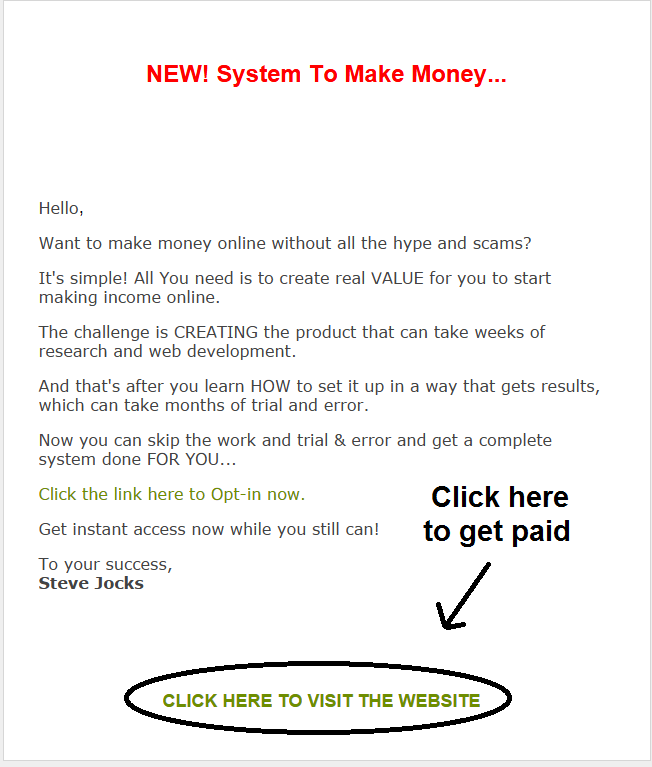 Click here Genuine most trusted – Hits4pay to join. Join today and get $5 as signup bonus. Read this : Learn how to earn $10 per day by doing simple tasks. This job will be very much helpful for students, house wives, freelancers, un-employed people to get some extra cash. 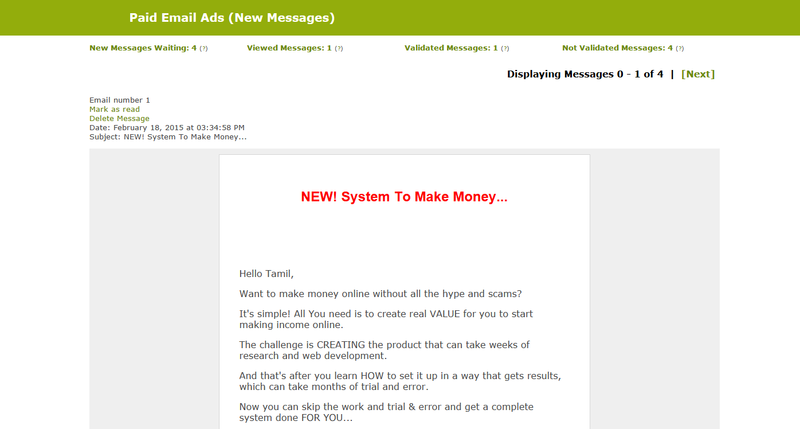 Tags: Genuine most trusted online e-mail reading job Hits4pay, Is hits4pay legit | legimate site.